Will the Euro Survive by 2021? The results of the Italian election is just starting to sink in. 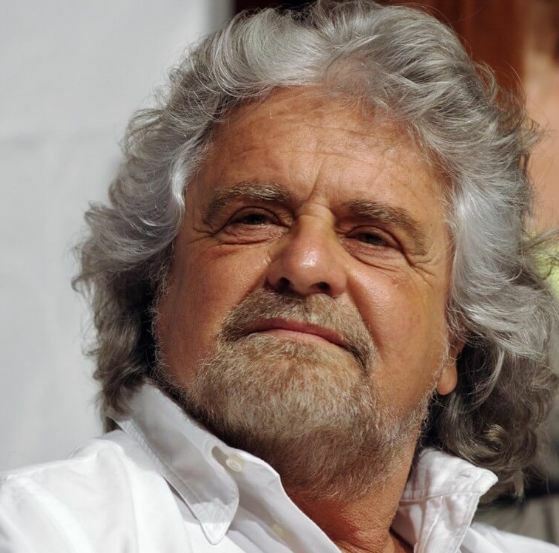 The rise of comedian Beppo Grillo to Italy’s most successful politician, who won 32.7% of the popular voted compared to Merkel winning 32.8% in the German election. Following the election on March 4th, Grillo’s “five-star” party took by far the first place. Brussels is still in shock and trembling as its mood has changed from he is just a joke to “OMG! This threatens the very existence of the EU”. 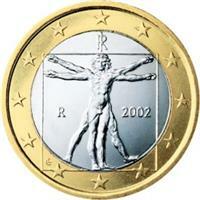 Grillo’s party sharply criticizes the EU, and above all, it questions the very purpose of Euro. The skepticism in the EU’s founding country Italy where they signed the Treaty of Rome, is rather amazing that those still focused on domestic issues in the USA are clueless about the threat to the Euro. Brussels tries to blame the misconduct of banks and takes no responsibility for the failed design of the Euro or for EU legislators and the European Central Bank, which have also played a profound role is turning Italy against Brussels. Swapping the old debt into Euro that then doubled in value, created a massive wave of deflation that 10 years of flooding the economy with money by the central bank has produced nothing but undermined then the pension system throughout Europe. The world is lost, yet politicians fail to even understand that they are lost in their misconceptions of economics. 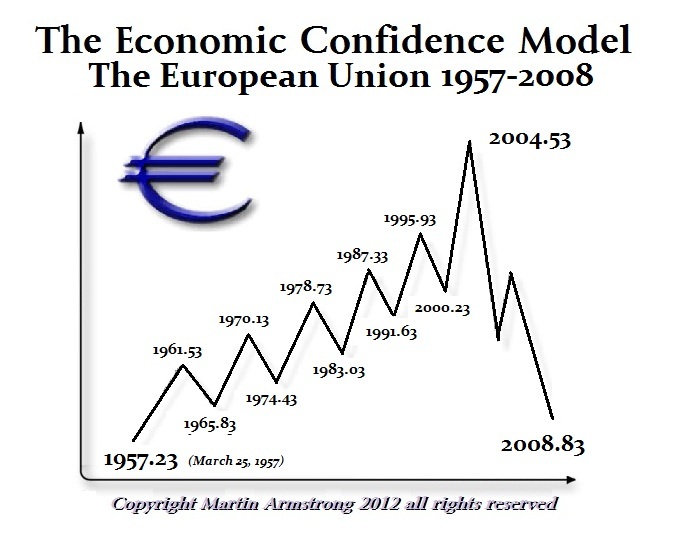 The peak in the Euro came precisely in 2008 and ever since we have witnessed the erosion of economic confidence. The peak of the first 8.6-year wave into this new cycle for Europe came 2013.13 and then the low was 2017.43. We are now in a wave due to peak in 2021.73 and by that turning point, we will see the Euro under tremendous pressure if it can even survive. There is no doubt that by 2030.33, that the Euro will probably not exist. The complete failure of the design is a profound mistake that is tearing Europe apart. From the Treaty of Rome in 1957, the 72-year Volatility Cycle that took down Communism will come into play 2029/2030. By this turning point, we may even see the EU crumble to dust because they failed from the very beginning to consolidate all the debts and let member states thereafter borrow for their own budgets as they do in the USA. The failure to consolidate the debt imposes the strict guideline on economics imposed by Brussels. Washington does not dictate the spending of states. I argued this was the design from the outset. They did not think the European people would vote for the federalization of Europe, so they tried to introduce that a little at a time.